All right, first a quick detour outside of Belgrade, this is the interior of Oplenac. Also known as St Georges Church, near Topola. Built by the first kings of Serbia, if I remember our guide correclty. 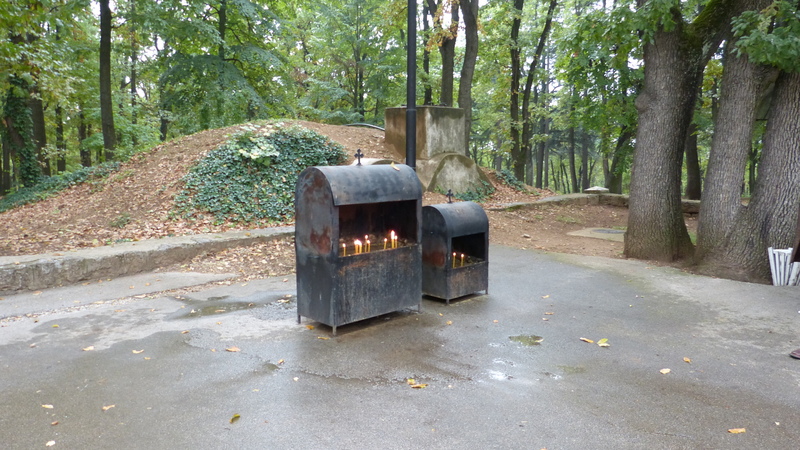 Outside the church, where you light the candles. View from beside the church. 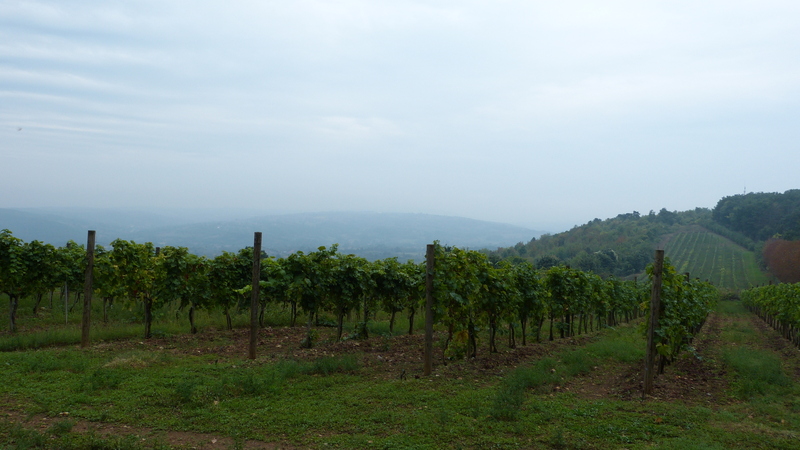 They grow and make wine here too. Back to Belgrade. 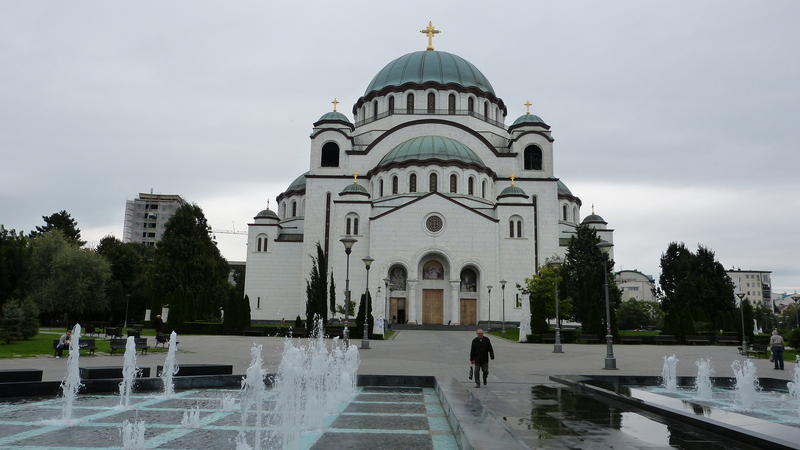 May I present, the largest church, when considering the volume, of the eastern Orthodox faith, St Sava. It's still under construction and looks much prettier from the outside than from the inside. Unless scaffolding and sheets of plastic is you thing, of course. 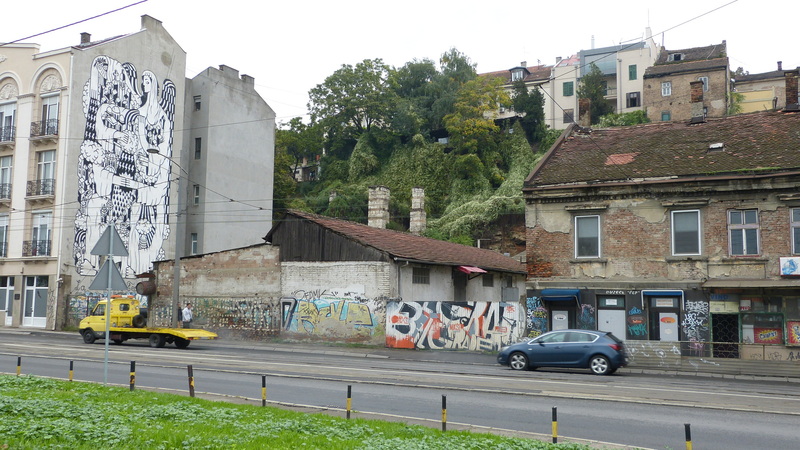 To my mind, typical Belgrade. A mixture of old and new. Some buildings are in serious need of repair, other buildings have aged gracefully, yet others are brand new and like everywhere there is a difference in the quality of the street art. 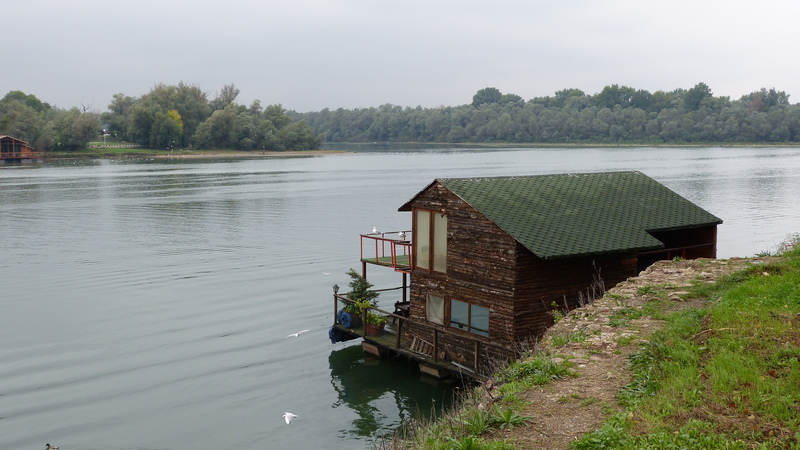 House boat along the path next to the Sava river. Age unknown, but the seagulls seem to like it. 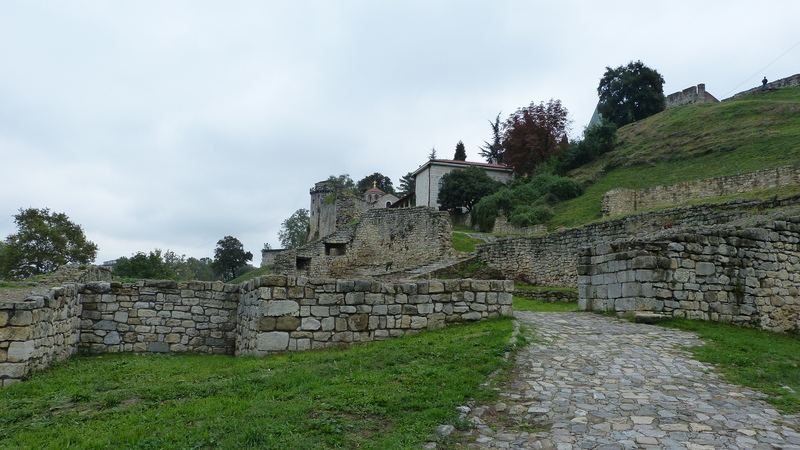 The rest of the photos are going to rather centred around the old fortress. Here it is, on top of the hill. The white building at the bottom of the hill is the old Turkish hammam. 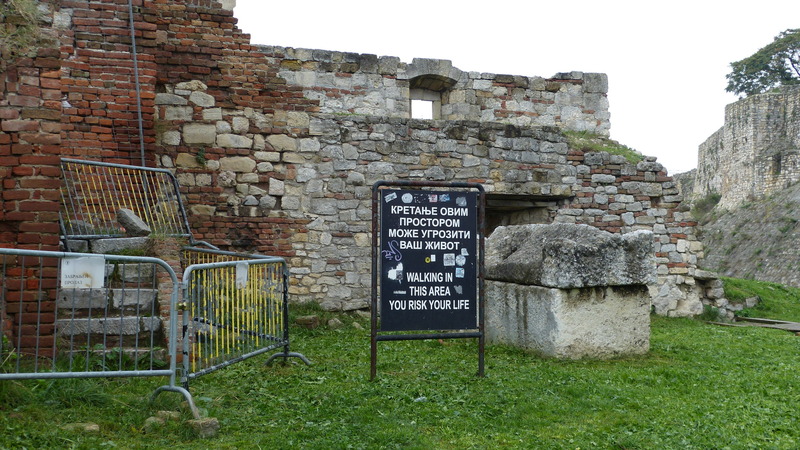 One of the very few reminders of the Ottoman rule in Belgrade. It's not a hammam anymore by the way; it's a planetarium. 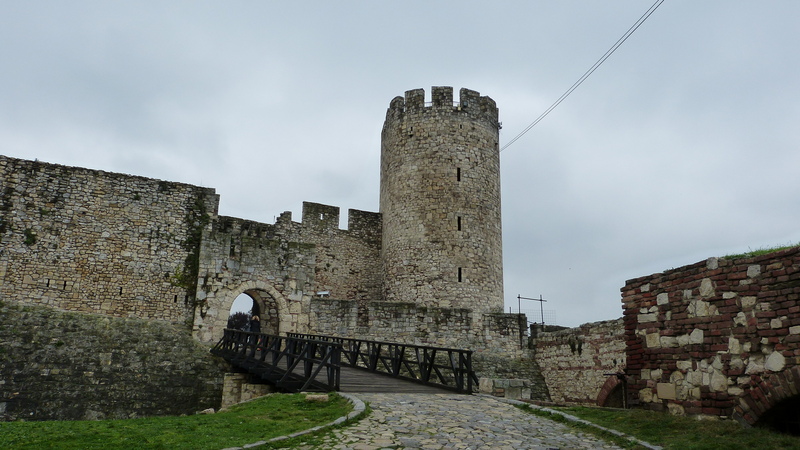 Old gate, below the fortress. 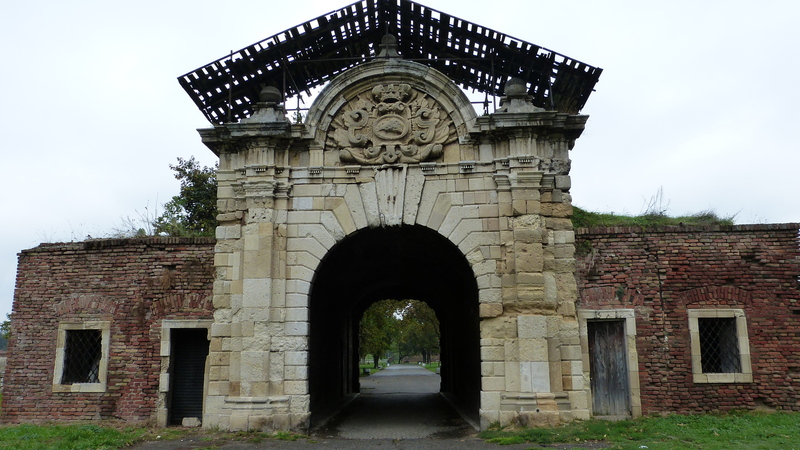 It's called the gate of Charles IV, of the Holy Roman Empire according to wikipedia. So perhaps not so old gate, from somewhere at the beginning of the 18th century. The way from the lower to the upper part goes by one of many small old churches in Belgrade. 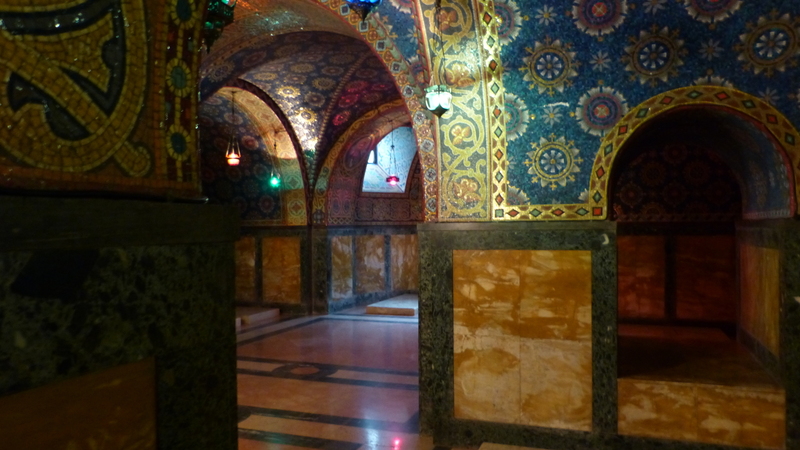 This one is St Petkas's chapel. 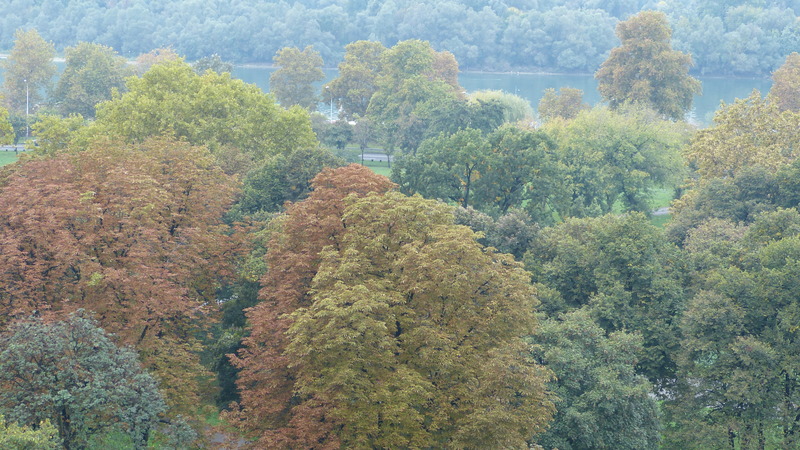 A zoomed in view from the fortress wall. 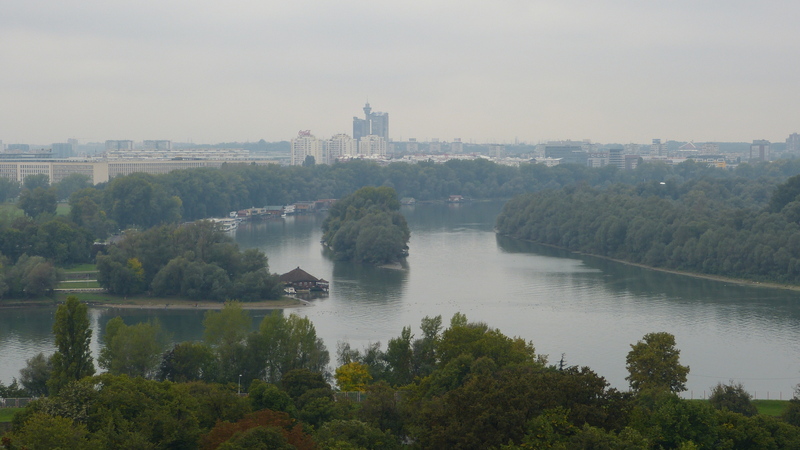 The river Sava is in the background. Did I mention I visted in October and that autumn basically arrived the day before this phot was taken? 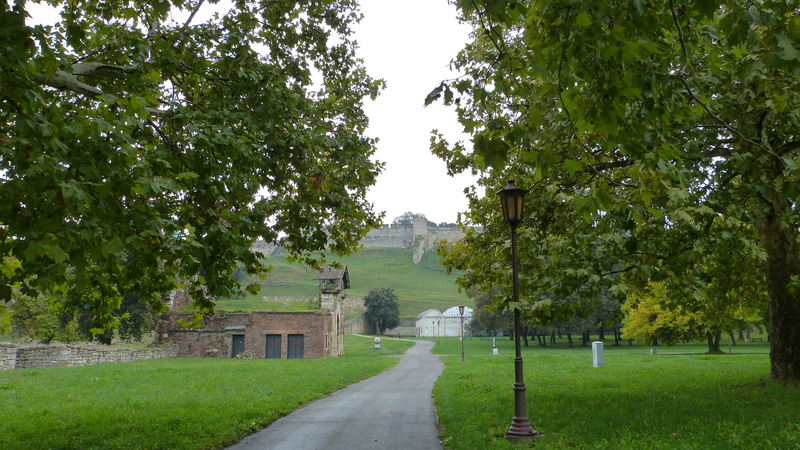 One of many entrances to the fortress. Visiting can apparently be dangerous. Neither I, nor the person who pointed out these signs to me, ever managed to figure out exactly what the danger was. But we are now duly warned. There on the other side of the river is the newer part of the city. Never visited so I can't tell you what it was like. This is also where the rivers Sava (to the left) and the Danube (to the right) meet. 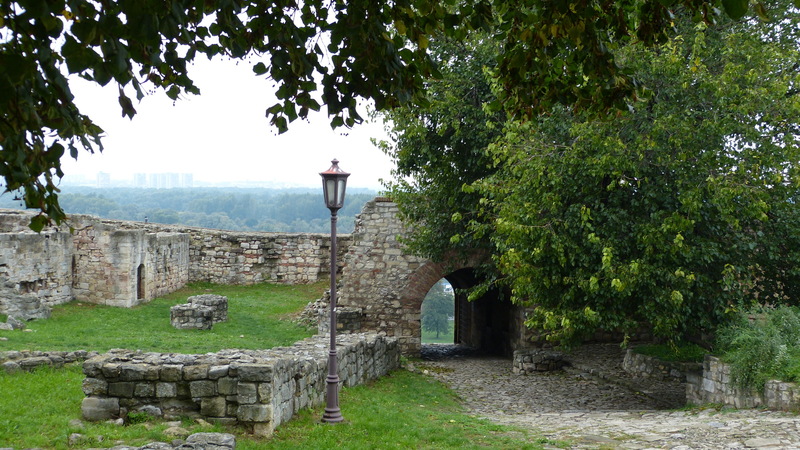 This is the last photo of a fortress gate, I promise. 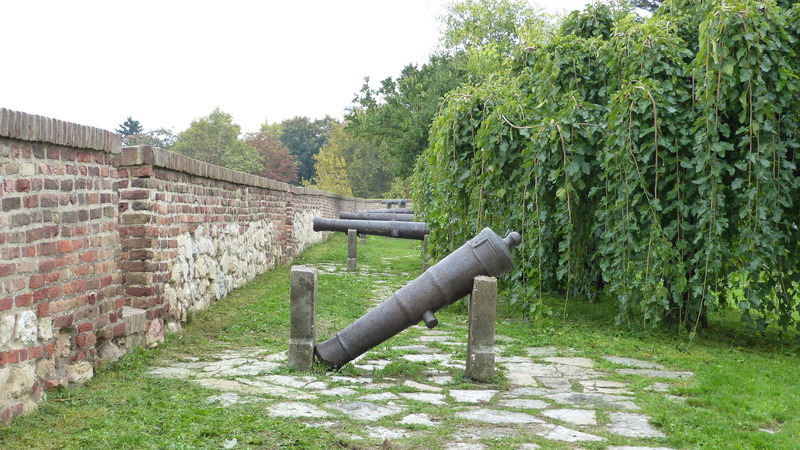 The Belgrade fortress is also host to the museum of military history, which have an impressive outdoor collection of artillery pieces through the ages. 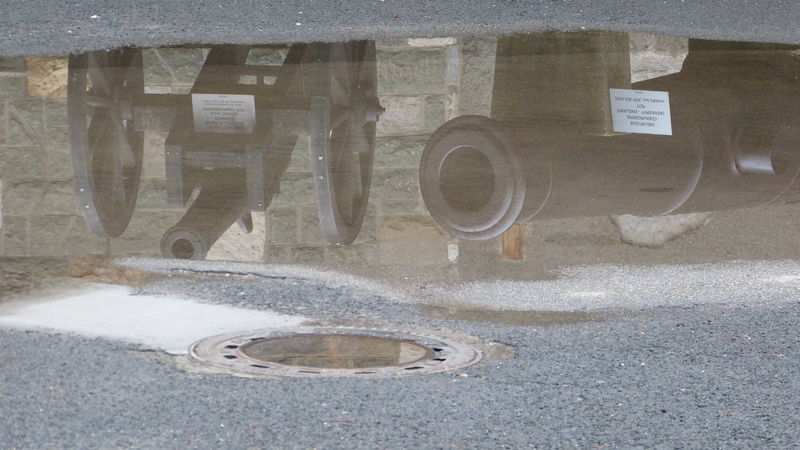 These two are close to the museum entrance. Personally, I prefered to remain outdoors. These are the canons furthest away from the entrance. Canon is tired, my feet were tired at this point, so I leave you to go looking for the nearest PECTOPAH. Food is cheap here and the portions are generous!